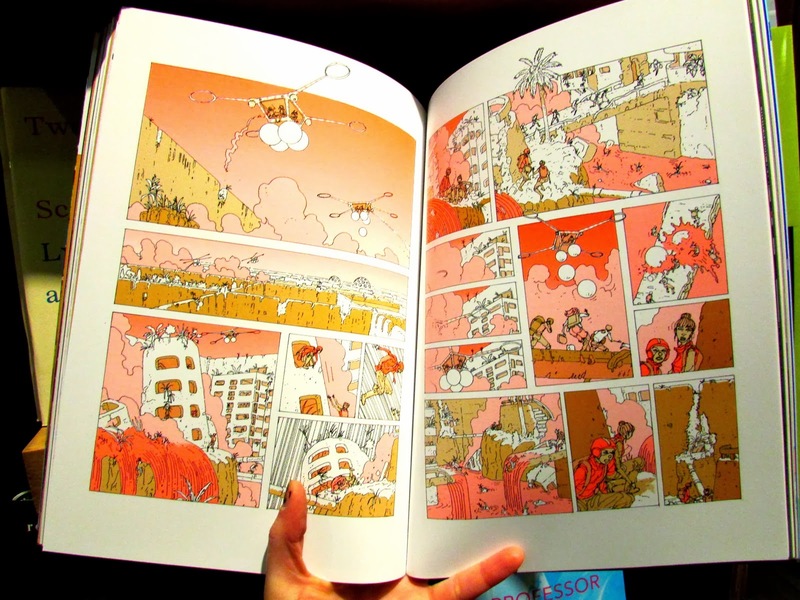 211 Bernard: Mould Map 3 is here! 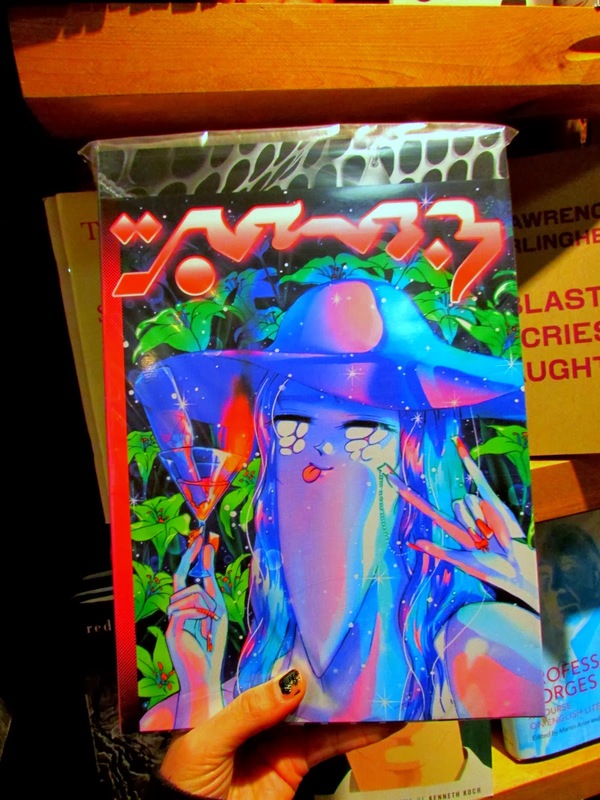 Mould Map 3 is here! 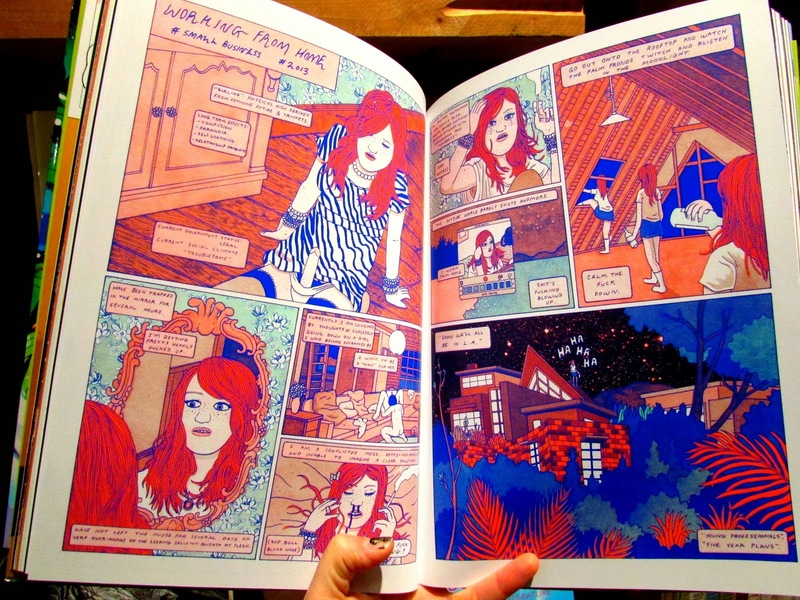 Get ready to feast your eyes on some seriously decadent comics, everyone! 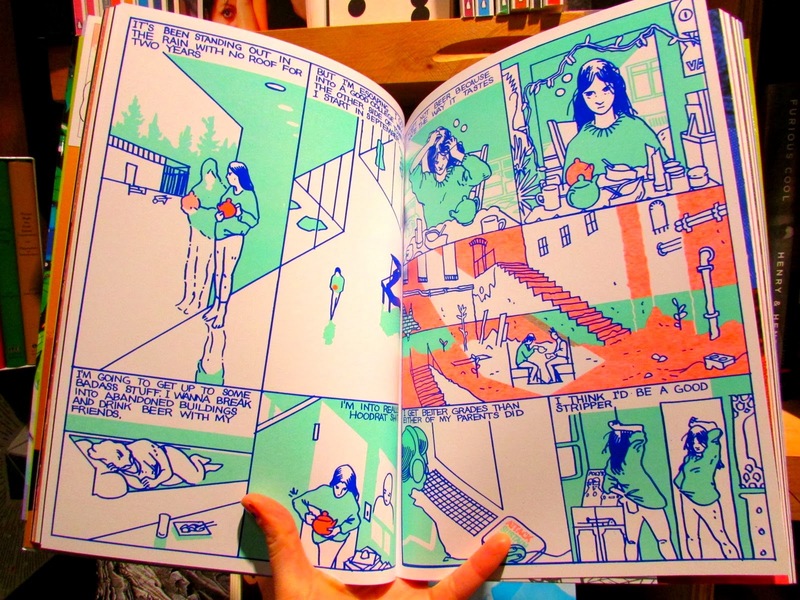 Mould Map 3 is here, and even more beautiful IRL than online! 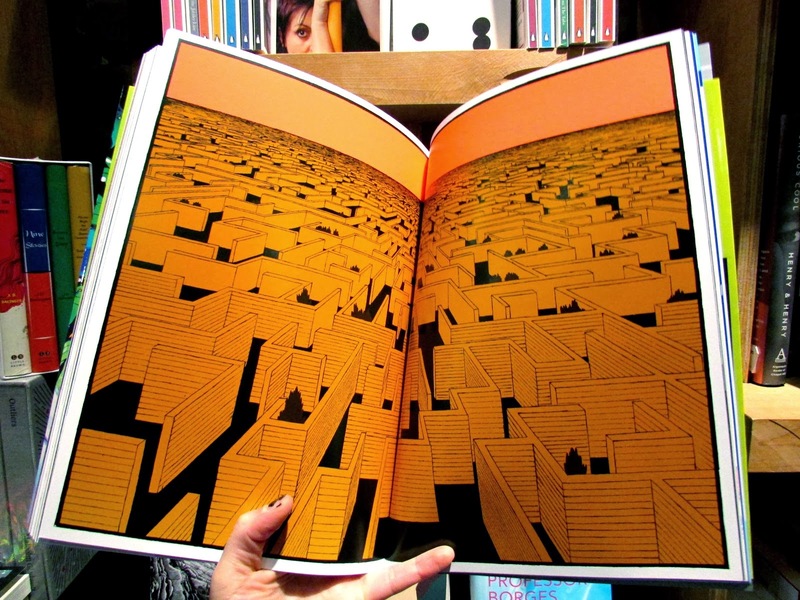 Mould Map is a New Comics & Narrative Art publication, co-edited by Hugh Frost and Leon Sadler. Thanks to a successful Kickstarter campaign, Mould Map 3 (Landfill Editions & Famicon Express) is highly swoon-worthy, and is now available for your comics-gorging needs. To add to the excitement, Julien Ceccaldi, beloved former bookstore employee, totally kills it with both the cover (see above), and the first piece in the collection (below)! 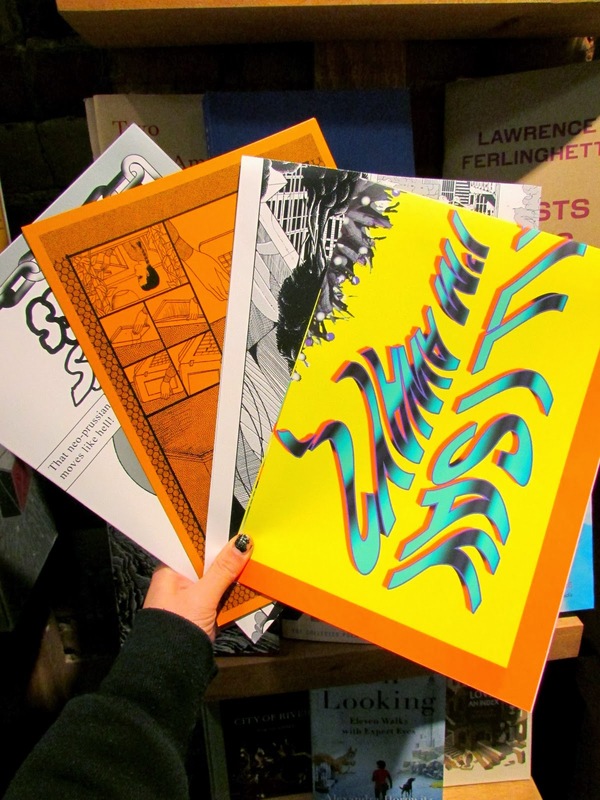 Mould Map 3 features a dazzling array of artists, among whom are store favourites like Jonny Negron, C.F., Sam Alden, Simon Hanselmann, Sammy Harkham and Killian Eng. The future is bleak (if not outright horrifying) in these collected scenarios, but the colours are so vibrant and the visions so immersive that one still wants to run towards it with open arms. Bonus: There are even several posters included!